“Bangladesh is on the path of graduation from the LDC category and at this critical juncture, the Government of Prime Minister Sheikh Hasina has stressed on achieving decent work for all as a vital factor to empower people and ensure inclusiveness and equality” – said the Permanent Representative (PR) of Bangladesh to the UN Ambassador Masud Bin Momen at the High-Level event on ‘The Future of Work to commemorate ILO Centenary’ at the UN Headquarters, today. 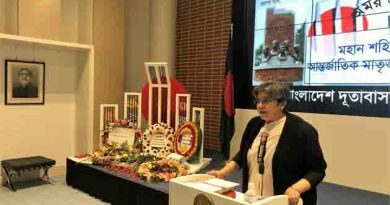 Focusing the principle of Bangladesh’s labour policy, the PR said, “An exploitation-free, discrimination-free and socially just Bangladesh was envisioned by our Father of the Nation Bangabandhu Sheikh Mujibur Rahman and our national labour policies reflect that principle. Our development plans, policies and initiatives are aimed at reducing informality, making work places safer, and provide better wages and social protection”. Ambassador Masud mentioned that the Government has been regularly revising the minimum wage for our ready-made garments workers and has also taken initiatives to make more job opportunities for women, people with disabilities and backward and vulnerable communities. 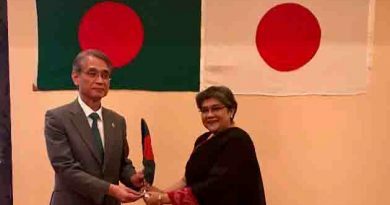 “To create a hundred million jobs by 2030, one hundred new Special Economic Zones are being set up by Sheikh Hasina’s government and the Government is Promoting SMEs for creating decent job opportunities particularly for the youth and women”, The PR added. 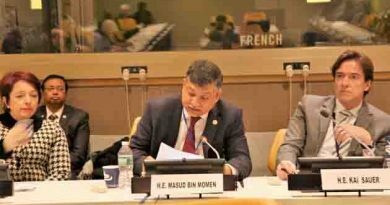 Ambassador Masud highlighted about ‘Digital Bangladesh’ initiative which is a step to the future of work in Bangladesh. 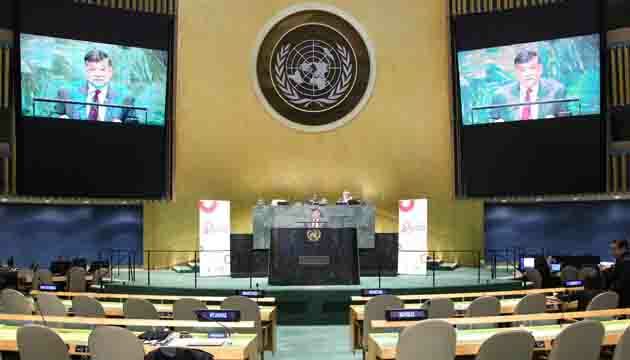 The President of the UN General Assembly, María Fernanda Espinosa Garcés convened the special session of ILO Centenary. The UN Secretary-General António Guterres, Director-General of ILO Guy Ryder spoke at the special session while Ministers, Ambassadors and representatives from member states and employers and trade unions representatives from international organizations attended. They recognized the role of ILO in creating social justice across the world. 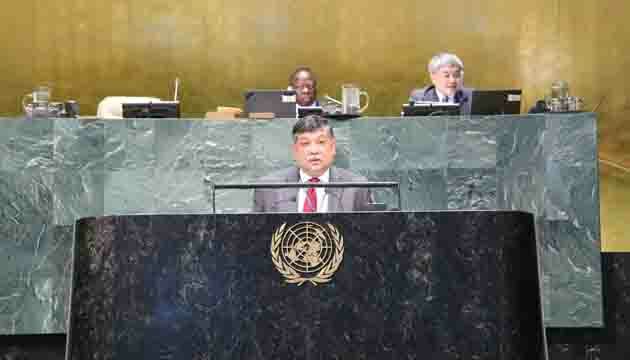 The events of ILO’s 100th anniversary commenced on 10 April and will continue till 11 April 2019. ← Bangladesh keen to sign FTA with South American trade bloc MERCOSUR to promote export to South America.